Spray 3- to 3 1/2-quart slow cooker with cooking spray. Sprinkle beef with paprika and pepper; cut into 4 serving pieces. Place in slow cooker. In medium bowl, mix carrots, mushrooms, soup and soup mix; pour over beef. Serve steak topped with gravy and vegetables. 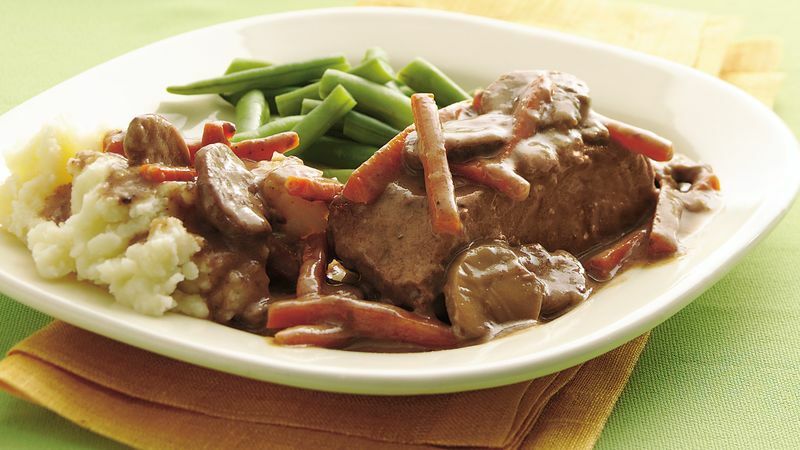 Serve this hearty beef dish with mashed potatoes or egg noodles and cooked green beans.